If you are in need of a large amount of money for an emergency or anything else, getting a second mortgage is one of your best options. 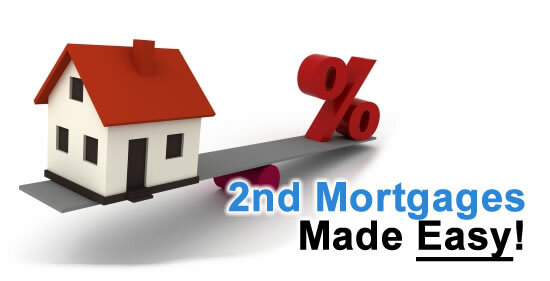 A second mortgage is a type of loan borrowed against the equity in your home apart from your original mortgage. You will also pay for it every month on top of your original mortgage. A second mortgage will be released in a lump sum which you can use to fund medical bills, school fees, travels or any major financial goals with lower interest than credit cards. Just a reminder, though, you are putting your home as collateral for a second mortgage therefore if you are unable to pay, the bank or mortgage lender can take your home. So if you’re planning to sell your house, you will have to pay both the first and second mortgages along with the sale profits. Just be sure that you are capable of paying your second mortgage aside from the one you are currently paying. Strategize carefully and make sure to consult with a Toronto Mortgage Broker like Rahki Madan Mortgage Agent and determine if the second mortgage makes sense to you. The total money that you can borrow for a second mortgage or a home equity loan is partly based on how much equity you currently have in your home. Equity pertains to the difference between your house’s value and the value that you owe on the mortgage. The lender will utilize this equity amount – aside from your income and credit score – to identify the amount of loan you are getting. The lender will have to know your credit report and confirm your income to define the interest rate that you will have to pay for the second mortgage. Normally, homeowners use about 85% of the equity of their house. The longer you pay your mortgage and the more your house increases in value, the more equity you must build in your home and the bigger home equity loan you can qualify. If you intend on getting a home equity loan, you are going to have the whole amount of the loan, as compared to a home equity line of credit, which works the same as a credit card, where you only take the amount that you need, and then pay if in monthly installments. Sometimes, a second mortgage or home equity loan is paid in 15 years, although terms may vary. The loan interest is normally fixed. Same as with your first mortgage, a second mortgage will need closing costs, which is around 3-6% of the amount of the loan. So, make sure that you also look at various offers from lenders, as the second mortgage’s cost differs from lender to lender.